This page is intended for, and will obviously only mean something, to those who attended Alex (but if you enjoy it, you're welcome to be an exception to the rule). 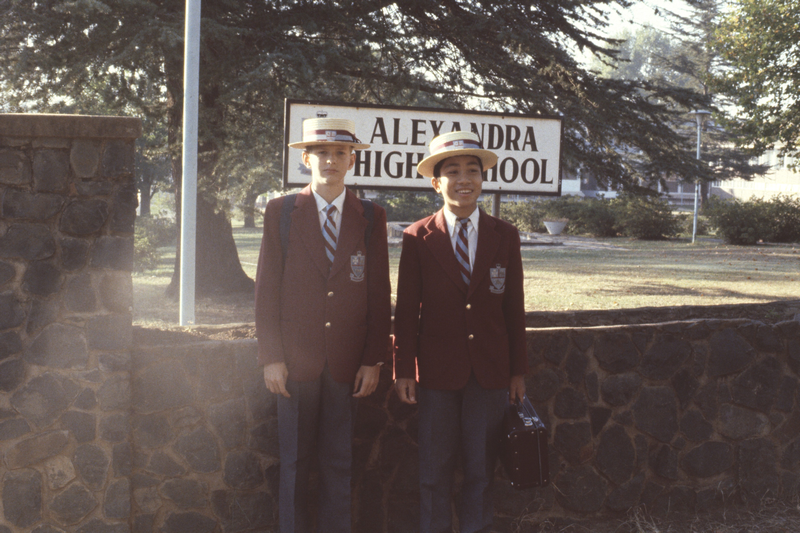 :) Note to any Americans reading this: Alex is a public high school; not a "prep" school (usually considered 'snobby'). 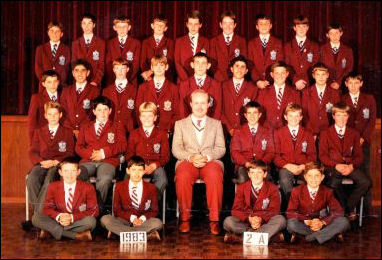 The use of uniforms are from the British school system influence. Early 1983 saw the last of the bashers (also known as a Boater); a straw hat that was once part of the uniform at Alex. It quickly faded from sight shortly after I arrived that year. As a second former, you were at the bottom of the educational ladder, and in order to leave no doubt where you stood, you were quickly made aware of your new responsibility to the matrics (a.k.a. sixth formers/standard 10 students/seniors): that of a servant. Backed up by the authority of their peers in the form of prefects, any matric could demand a "favor" from you if they wished. 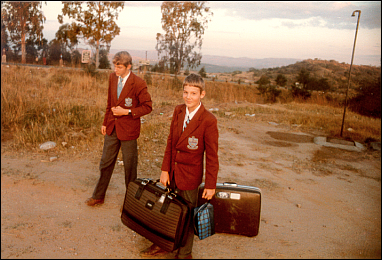 Not all matrics had malicious intent, but for some, your new duties were to make them happy during breaks and lunch time. 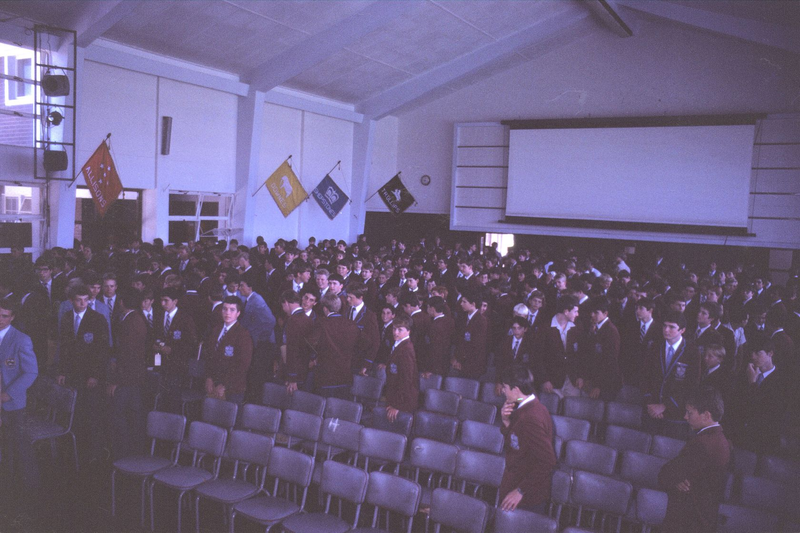 This typically took the form of everything from catching money they dropped from the third floor to you to buy and deliver food to them from the tuck shop (located on the ground floor), to pretending to be part of a train along with your fellow students (complete with faking steam and whistle noises), to becoming a human orchestra for their entertainment. One quickly learned however, that you could avoid all this simply by staying out of visual range of the matrics—out of sight, out of their mind. Some of them were. A rather elderly teacher known as 'Spitfire' acquired his nickname because of his tendency to inadvertently spit on students in the front row of his class while he was teaching. His other notorious trait (due to his age) was apparently needing a bit of a 'run up' when caning students, in order to actually make it hurt. Thankfully, I can't speak from experience as to how painful his caning was. 2A's English teacher, apparently wanting a creative visual prop as we read through Shakespeare's "The Merchant of Venice" in the assembly hall, asked for one of his students to bring in an axe. No other props were asked for; just...an axe. Apparently to somehow establish a visual connection with the "pound of flesh" crux of the play. Thankfully, it just sat leaning up against a chair at the front of the assembly hall the whole time we read through the play. Thankfully, I was only caned twice while at Alex. Once for failing a technical drawing/drafting test, (getting only 5/50 right when the teacher was apparently in a bad mood), and once for not paying attention in math class. My first year at Alex, I was (very) mistakenly placed in class 2A, which meant I was in the highest 'intellectual' class for that year among all the second form (a.k.a. standard six/eighth grade) students. Although my intellect never matched my placement, I encountered something that I will always remember as a part of being in that class: a finger. Actually, half a finger. One of the students whose father was a senior figure in the South African Health Department 'borrowed'—and brought to school—a glass jar of grayish liquid containing the grisly half of a human finger, apparently found after a terrorist's botched attempt at blowing up an oil refinery. 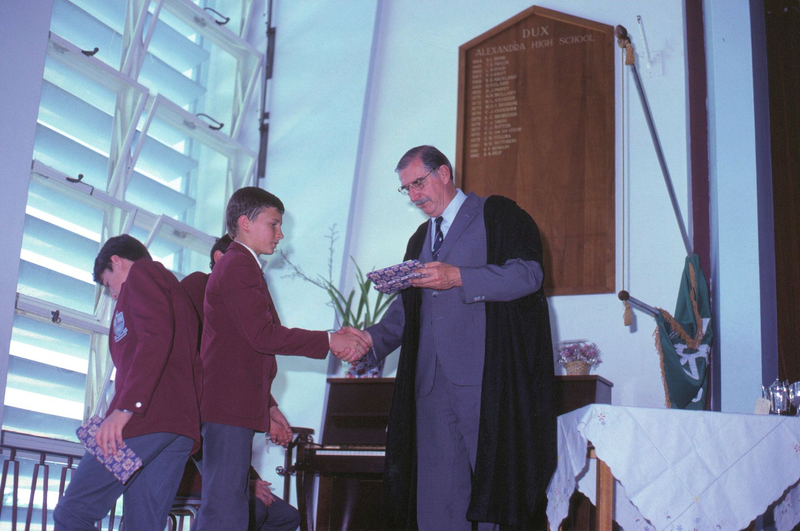 Happily showing it to select batches of students at a time, it wasn't very late in the day before his prized 'treasure' was discovered by a teacher, and reported to the headmaster, where he was given a stern warning: lose the finger, or face expulsion from the school. Naturally, we never saw the finger again. At only 25¢ a piece, the ladies in the Tuck Shop made some of the best toasted cheese sandwiches around (a.k.a. "samis" pronounced SAW-MEEs, short for "sandwiches"). Part of the tradition in eating them, however, was to squeeze a dollop of tomato sauce/ketchup on top, and carefully spread it around with your finger before licking your finger and polishing off the sandwich. While I never conducted a formal survey, I don't ever recall seeing anyone eat a sandwich 'sans sauce'—a tradition worth maintaining to this day. On a rare occasion in 1983, Alex's first basketball team was to play against one of our biggest rivals: Maritzburg College. Since the game was to be held at the nearby YMCA on a Friday afternoon, the school administration thought it would be a good idea to let students out early—requiring them to attend it in order to have a large crowd there representing the school and supporting the team. It was a great idea, since most students liked basketball anyway (more fun to watch than rugby ever was), and the bonus was that all homework for the day was canceled. Needless to say, I was in a very good mood—getting out of school early, and with no homework to worry about! I sat in the balcony, packed in like sardines among other Alex students, and waited for the teams to jog out onto the court. The Alex team was first, and everyone cheered—happy to support our skilled first team. I joined in, enjoying the moment, and riding high with the thought of a fun weekend ahead. Next came the Maritzburg College team, and the cheering began once more, though less enthusiastically. Feeling completely obscure in the midst of noisy students, I began shouting "Boo!" as the Maritzburg College finished their entrance onto the court. Apparently not as inconspicuous as I'd thought, a nearby prefect heard my jeers and gave me a stern warning to be quiet. Obviously shaken at being heard, my desire to poke fun at the opposing team disappeared, and I laid low for the rest of the game. 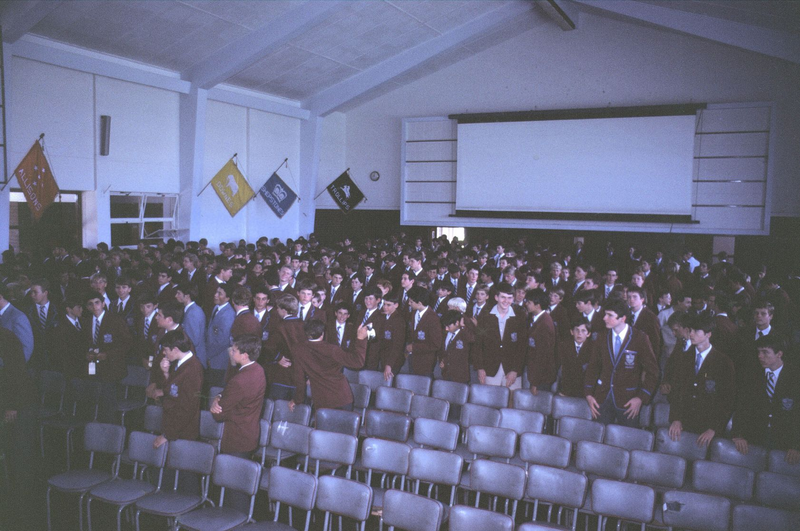 The following Monday, at the end of assembly in the quad (in front of the whole student body) my homeroom teacher, Mr. Fisher, walked to the podium and made the following announcement: "I don't know who it was, but I just want you to know that booing the Maritzburg College team embarrassed our school, the teachers, staff, and first team at Maritzburg College." A chill went down my spine as he spoke, and though likely only a handful of students knew who it was, the urge to crawl under a rock was irresistible. Feeling terrible about the short-sightedness of my actions, I wrote a letter of apology to the headmaster of Maritzburg College, but never received a reply.